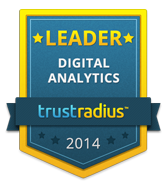 Matomo (Piwik) Named A Leader in TrustRadius Digital Analytics TrustMap™ for Small Businesses. Matomo (Piwik) Rated Strong Performer in TrustRadius Digital Analytics TrustMap ™ for Enterprise Analytics. The TrustRadius TrustMaps™ guide features reviews from authenticated TrustRadius users on a number of digital analytics platforms from the biggest names in the digital analytics industry. You can download your free copy of the buyer’s guide here (Note: there is a form to fill before you can download the PDF). Read the TrustRadius user reviews about Matomo (Piwik) on their website. Or view other awards won by Matomo (Piwik) here.